The Great White shark known as Mary Lee, who was recorded 10 miles off the coast of Wildwood just a few days ago has traveled north and is now being tracked just off the coast of Ocean County. 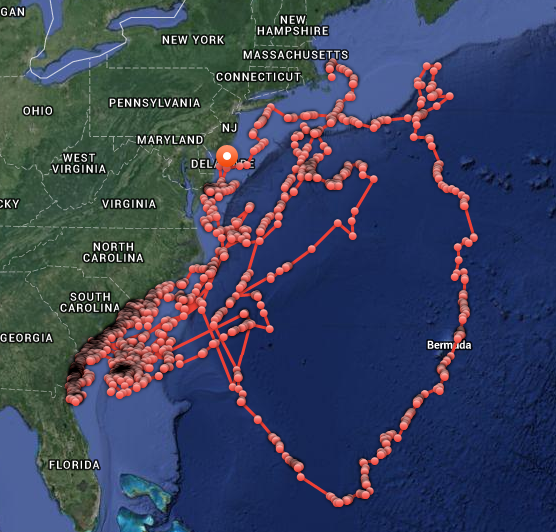 The 3,400 pound Great White was originally tagged in Cape Cod back in 2012 and has been an active traveler ever since. Mary Lee was pinged just off the coast of Ocean Township in Ocean County, NJ early Saturday morning and continues to head in a northern direction. Here are Mary Lee's recordings since 2012. Every time her dorsal fin rises above the water's surface, OCEARCH receives a "ping". You can track all of Mary Lee's travels through Ocearch.org HERE.